After a one-night delay, test trains are now in place near Dulles International Airport for the future Silver Line Phase 2, marking a significant step toward opening the line for riders between Reston and Loudoun County. WASHINGTON — After a one-night delay, test trains are in place near Dulles International Airport for the future Silver Line Phase 2, marking a significant step toward opening the line for riders between Reston and Loudoun County. 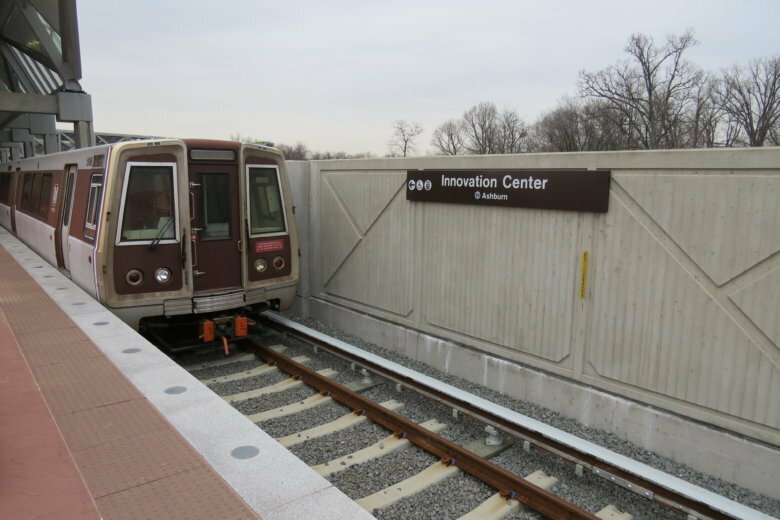 Metro crews stepped in to use a locomotive to slowly get a pair of two-car trains from the current end of the Silver Line at Wiehle-Reston East to the Innovation Center Station across Route 28 from Dulles early on Thursday morning. The move took about three and a half hours, the Metropolitan Washington Airports Authority said. The pairs of cars will be used to clean off the third rail near the Dulles Airport Station which will then allow for those two-car trains, plus two others coming over the next few days, to move toward more extensive testing of the rail line. The additional testing that will begin later includes tests of braking, communications and power systems.